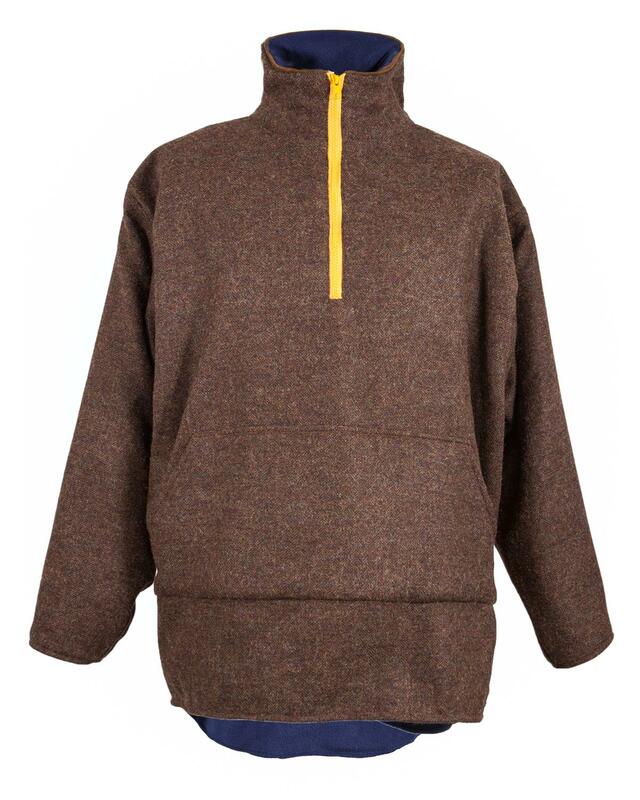 New from Maude and Fox - the hoodless tweed hoodie! named after Dave who bought the prototype. Made from a beautiful brown tweed from Yorkshire, lined with blue fleece and with a contrasting ochre coloured chunky zip. Suede trim to collar to allow for wear. A hit with many who have seen this already at shows.